NSW Greens MP David Shoebridge has welcomed today’s announcement by the CFMEU to place a ‘Green Ban’ on Thompson Square, Windsor in response to the Government’s approved controversial Windsor Bridge Replacement Project. Last year the NSW Government made a last-minute Christmas Eve announcement that it would approve the project despite its own internal advice regarding the damage it cause to local heritage, and assessments made by the Department of Planning’s independent experts indicating that there is very little justification for the project to go ahead. The local community has been strongly opposed to the project since it was proposed by the government, in particular due to its impact on Thompson Square, Australia’s oldest town square and a precious part of Australia’s history. “Green Bans have a proud history of protecting this State’s precious heritage from Kelly’s Bush to the Botanical Gardens and we hope they can also serve Windsor. 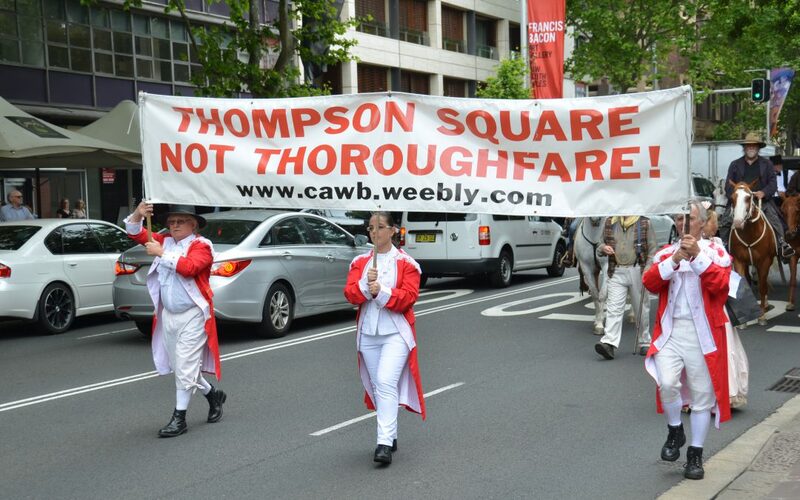 “The Greens warmly welcome the CFMEU’s Green Ban on Thompson Square. It sends yet another message to this Government that the Windsor Bridge project is one without merit. “By approving this project the Government has ignored the local community and its own independent advice, and will now be going against the industry’s union. “The Government needs to now wake up to itself and seriously reconsider this deeply damaging project.” Mr Shoebridge said.